Description: A two-in-one brow filler and eye liner duo to help you achieve bold beautiful eyes. I’m going with eyebrow that could double as eye shadow in a pinch. I mean all matte eye shadow can be used as brow filler, but you know what I mean. I think I will like this quite a bit!! And it’s even better for travel with the dual use. Emani products are free of talc, parabens, petrochemicals, glutens, animal derivatives, phthalates, nano-particles, and GMOs. Description: Freshly flavored lip balm that’ll have you lovin’ bee free beauty. 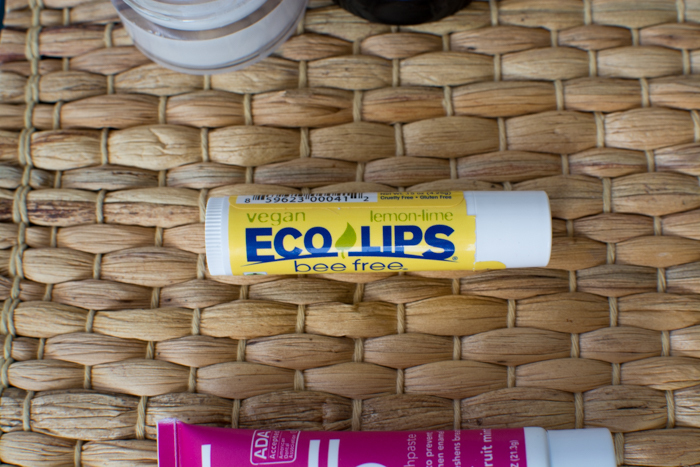 Eco Lips! I have been a fan of Eco Lips since pre-2008!! Pre-vegan even! I think a friend introduced me. We just really liked what the company stood for. It was local to us, living in the Midwest, and made from good natural ingredients. I found an old order email from them and it’s from when we lived in Batavia all the way back in 2008. 🙂 I’m pretty sure if I still had my maiden name emails I would find orders there too. This is so cool to think about! Anyway they have pretty amazing lip balm, chapstick, whatever you want to call it. My friend Stephanie still says it is the best chapstick she has every used. I love that they have a bee free line that doesn’t have a beeswax base. 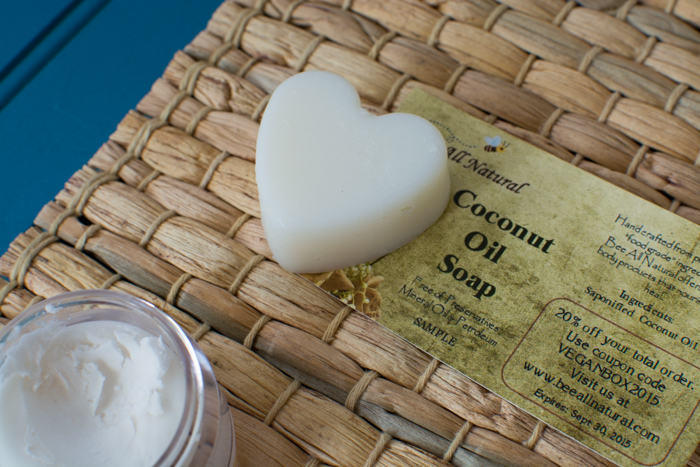 Description: Beautifully lathering coconut oil soap loaded with vitamins and antioxidants to soothe skin. One ingredient. Saponified coconut oil. That’s pretty awesome! 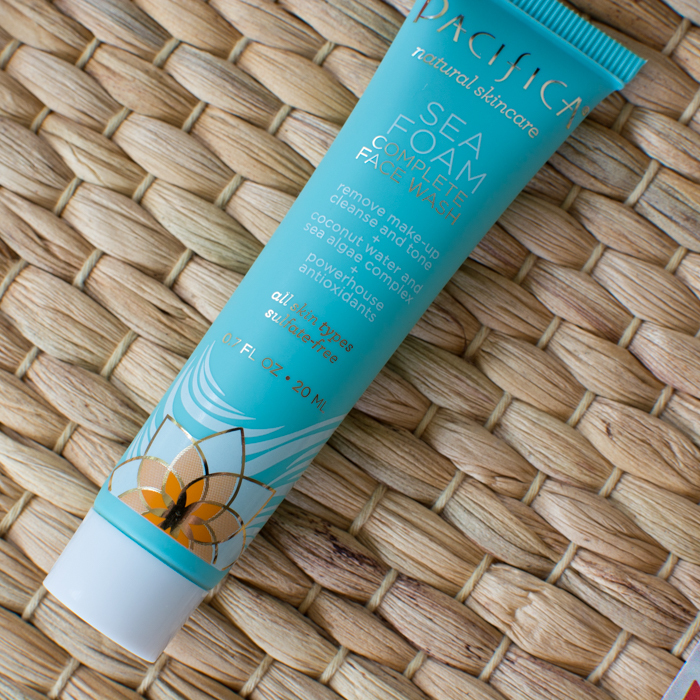 Description: A coconut water-infused foaming face cleanser that harnesses the power of the ocean. I love how familiar I’m getting with the whole Pacifica line. 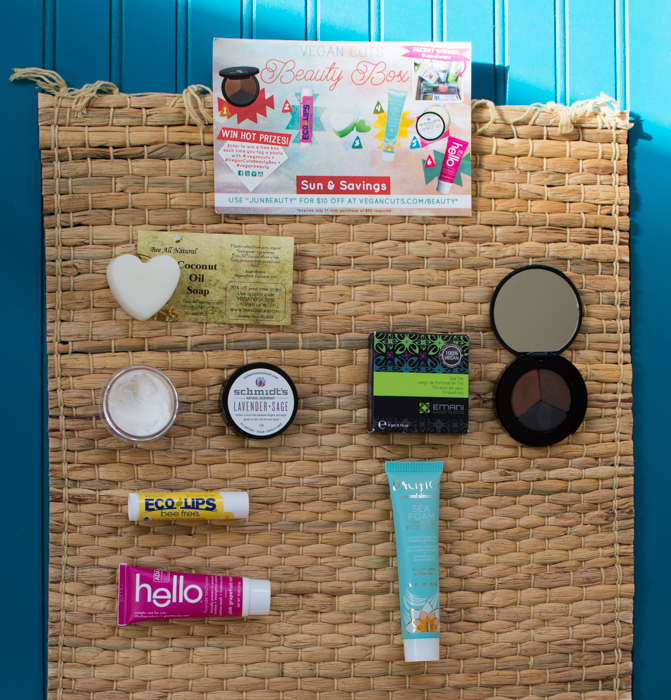 Between subscription boxes and online orders I love all things Pacifica. Their sea foam face wash is clear like a gel and has a light toasted coconut scent. It claims to remove make-up, cleanse, and tone with the help of coconut water, sea algae, and antioxidants. It is free from SLS, parabens, phthalates, and petroleum. It felt very soft on my skin and cleansed really well, but wasn’t drying. I love it as a summer cleanser! Description: Natural deodorant in a captivating scent that will keep you fresh through the heat. 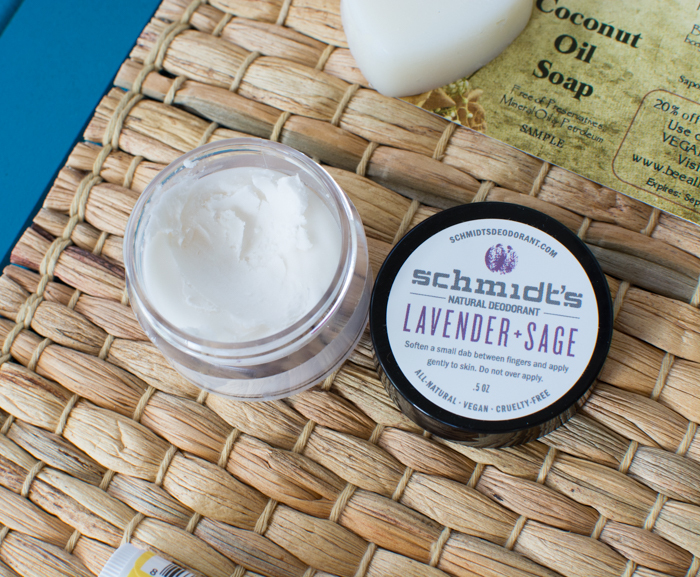 I’ve received Schmidt’s before and you can read those thoughts here. The basics? It works for odors, but I don’t like the texture and application. Description: Enticing pink grapefruit and mint-flavored toothpaste that’ll have you smiling. How handy is this? I just had my first crown and was prescribed fluoride toothpaste. My dentist is a natural whole health kind of dentist and we had a talk about fluoride. I explained where I was on the debate. There are benefits for protecting/strengthening tooth enamel, but I don’t agree with letting our organs get a taste. We agreed 🙂 I was prescribed a 3-M product which is probably not vegan and surely not cruelty-free. I’m glad to know there is a healthier version of a traditional toothpaste minus preservatives, artificial sweeteners, and dyes. They also have fluoride-free and SLS-free toothpastes.